And THIS is why him jumping doesn't bug me. That's a danged near picture perfect, safe, landing. Which is. Not at all what Molly does. And why Molly's not allowed/encouraged to jump. CptJack, that is such a cool photograph of Kiran playing with his flying disc. What a little athlete! I've read through this thread and noticed that you bought several different types of discs and Canyx bought a couple as well. I'm wondering which ones you both prefer and why. I bought my girl a couple cheapies from Dollar Tree. She LOVES them! But they didn't last but a week each. The discs are brittle and crack -- probably from slamming the fence. My girl turns 6 months old tomorrow, still too young for jumping. So we use the disc to play fetch. Today, I bought a Kong flying disc at Petsmart. It is a nice soft rubber, probably better on her mouth and teeth than the plastic ones we bought for $1. But it's heavier and takes more effort to throw it half as far as I easily flung the cheap disc. My yard isn't big, so I don't need it to fly a long distance. If I can get 20 feet without wrenching my arm I'd be happy. Curious, if I do decide to later teach my girl to jump and catch, what type/brand disc would you recommend as a beginning trainer disc? If you want a disc t hat will last a long time, look jawz or supersonic discs. Be aware they're more like 15-20.00 each. They will, however, last for years, even with really hard biting dogs (I've had two for two years and one for three with no appreciable wear). They are however pretty heavy and that's the trade off. The durable discs are heavier than the ones that only last a day or two. 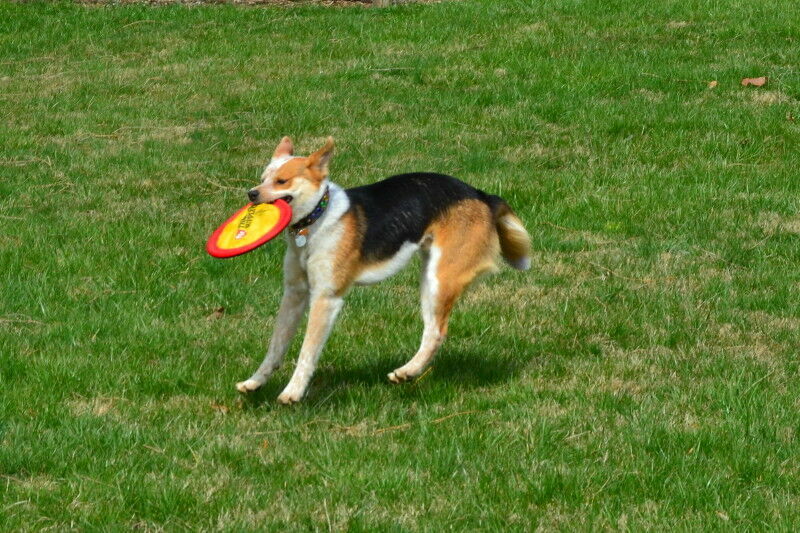 Also, please stick to either disc like toys that are soft, or hero or hyperflite dog discs (or fastbacks by whamo). The petstore ones, like you said, break down in a way that's really dangerous to the dogs. The light weight ones by the other brands also don't last, but they don't splinter or crack, making the breakdown not likely to break your dog. Also, please stick to either disc like toys that are soft . . . The site also has a video of someone showing off several different flying discs and showing the traits of each one. FYI, the Kong disk is even more flexible than the "gummy" version mentioned in the video. Maybe I'll pick up a Hero Supersonic next month. I like the Chuck-it discs. The paraflight goes far, hovers more, and is lighter. The zipflight has a hole in the middle and is great for tug, but is heavier and won't go as far. I am also playing around with the Ruffwear one (which is shaped like the zipflight). That thing is huge! We enjoy the fabric discs because they are easier on my hands for tug sessions, though with Brae tug is never an easy activity for me. However, because they are fabric they don't last very long. This was my latest Chuck-it zipflight after a few months of use, maybe 15 minutes a week. Brae is never allowed to have these toys on his own, so the damage is totally from normal disc play and tug. You might want to try the zipflight because although it is fabric, it is pretty rigid in shape so it's very easy to throw it nicely. I have and love the Kong Flyers too, but I get that the flexibility makes them harder to throw at times. I want to clarify, I have competition type discs like Jawz and Hero too. I was just writing to address the 'easy to throw' criteria you mentioned. Also, seeing as your dog is still so young and also teething, I think the softer discs are nice on teeth and for casual yard play. But I agree that ultimately the competition discs fly best and are the best for developing nice jumping form and catches. 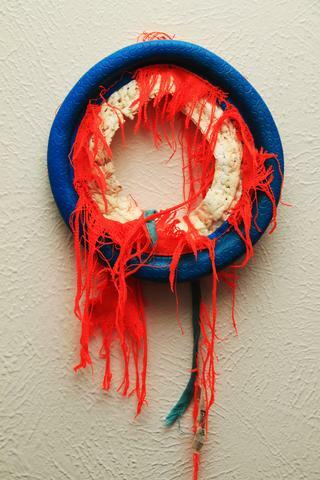 If you're going to use fabric, yeah, I'd try something with a rigid rim. 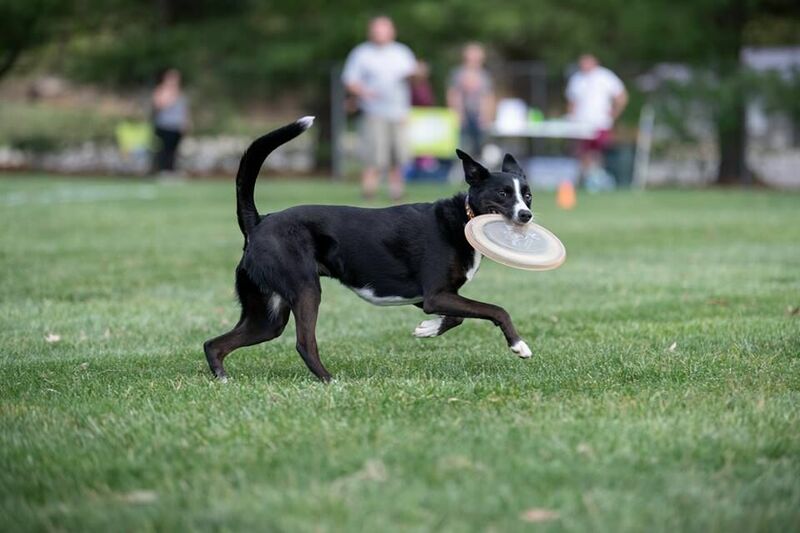 I use the discs from Tractor Supply for a lot of our casual play at home - when not using jawz - because they hold up fairly well (they're rip stop nylon stuff), and they fly FOREVER (I'm an all spin, no force thrower so this is handy). Most of what I'm saying is dear god, don't use human or 99 cent discs because they will hurt your dog. That video you mentioned is excellent and I'm bookmarking it to share with other people! Last edited by CptJack; 04-13-2019 at 11:08 PM. I wanted to try disc so bad but they keep offering it on a night I can't go. Sigh..
Also, I'm pretty sure they need to be able to actually give the disc to hand, or change which disc they are going after? Ember has a bubble thing and absolutely refuses to come to hand with a toy. She also will lock on only one toy and will refuse to chase a different one. Maybe someday I will have another candidate. 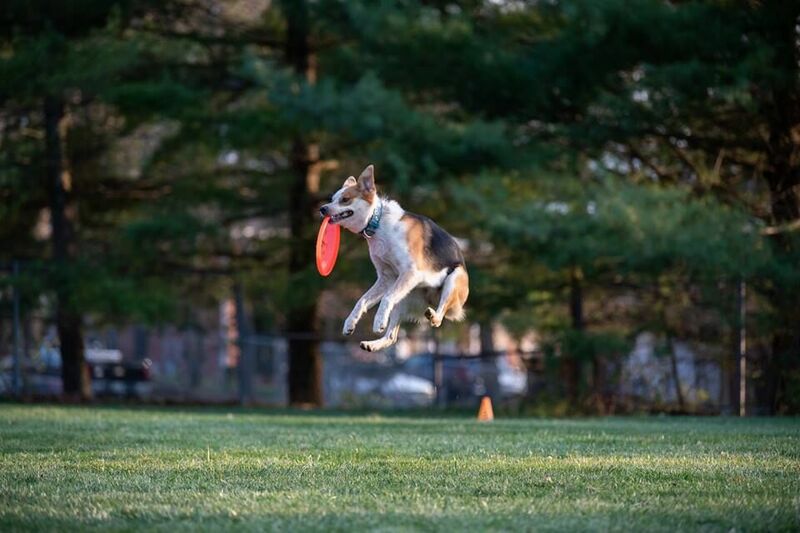 Nope, they are absolutely allowed to drop the disc at some distance, though you might waste a little time having to go get it - and you're absolutely allowed to play with just one disc, and in fact some dogs require it. No big deal in either case, at least for Toss and Fetch and UpDog. Heck in UpDog you can (and people do) play games with 8 week old puppies, 15 year old dogs and all rollers. Oh, well in that case we just have time issues, LOL! Good to know! So maybe someday. She drops it in front of you and will "nose it" toward you. She is very set in her Border Collie repetitive ways so bring to hand probably won't happen. 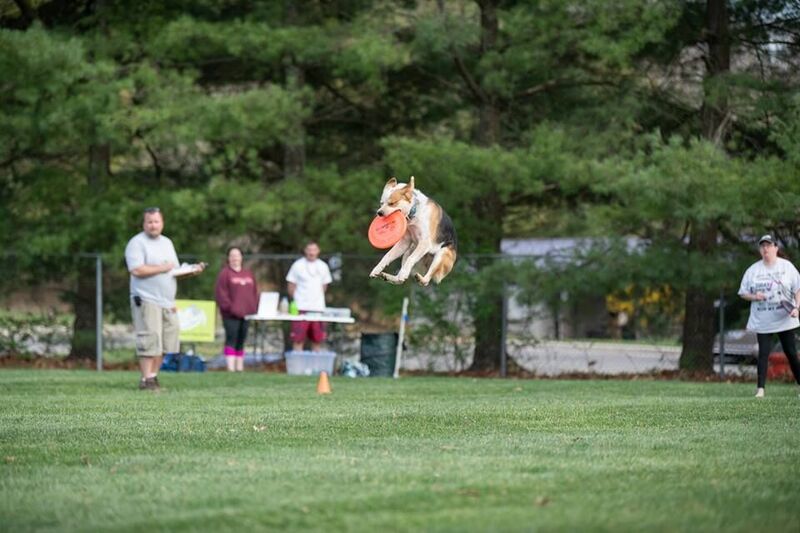 This would be Toss and Fetch. Haven't seen any UpDog here. No issue at all, then. In fact 'drop in front of me' is my GOAL with Kiran and Molly. It's actually faster for me than directly in my hand. As long as it's in front of me and reasonably close/arms reach as opposed to 20 feet away. Is this because they are faster if they just drop mid-run and wrap around your body and out? Or is there another reason? Mostly that, but also that I have a much harder time getting a grip I like on the disc when they're shoving it in my hand, and the time it takes me to regrip/reposition is probably slightly longer than it takes me to scoop the disc up the way I want and immediately throw.